Is Mic's Pivot to Video Spinning Out of Control? Within the pantheon of panic-inducing statements managers can make to employees, the assurance that there’s no need to panic sits near its apex. Yet last month, in a conference room on the 82nd floor of One World Trade Center in Lower Manhattan, Mic Executive News Director Kerry Lauerman told his staff that newly introduced traffic “goals” were no cause for alarm. The comment came during an unusually tense editorial meeting at the media startup, according to two people in the room. Just weeks before, management had publicly shrugged off reports that traffic to Mic.com was cratering in the wake of mass layoffs and a strategic “pivot to video.” The mandate was to produce more original journalism—not quick aggregation of outside stories—and then distribute it on outside platforms, where Mic sees the vast majority of its audience, as opposed to its website. But Mic.com’s traffic slipped further in September, to just 4.6 million unique visitors, according to comScore, down from a peak of more than 21 million in December 2015. The more specific traffic targets instituted in response to the recent dip seemed to contradict management’s defiant stance: They reached as high as a few million visitors per month for the largest of Mic’s nine topically themed verticals, staffers said. After the October editorial meeting, it also remained unclear whether such “goals” were in fact quotas that would be used on employees’ performance reviews. Lauerman could not be reached this week. A Mic spokesperson declined to comment. Such tension was perhaps inevitable after the social justice-oriented news outlet unveiled its new plan in August, becoming the latest publisher to pursue video as means for survival. Interviews with eight current and former staffers, all of whom spoke on the condition of anonymity for fear of professional repercussions, suggest the newsroom was ill-prepared to execute the proverbial pivot. The shift in direction has been slowed by steady staff turnover—including on the video team—and confusion among rank-and-file employees as seen in the October editorial meeting. What staffers describe as a headlong shift in strategy reflects how Mic, branded as a bellwether of wokeness for young people, is coming to grips with an inhospitable media environment in which outside investors’ patience is wearing thin. Venture-backed startups like Vice, BuzzFeed, Vox, and others have increasingly thrown money into video production in the hope of capturing ad revenue on Facebook and capitalizing on the disruption of the traditional TV business. Neither has yet to materialize to an extent that can sustain expensive accountability journalism. In press releases and at media conferences, though, the desperate business realities driving these changes are sold as opportunities to innovate. Investors rewarded Mic’s potential in that regard with about $28 million in new funding this year. And in August, just days before Mic would announce its new strategy, Mic Publisher Cory Haik evangelized the “revolution in visual journalism” in an op-ed for Recode. It’s early still, but so far this high-flying rhetoric has mostly translated into newsroom churn and cheap autoplay videos clogging users’ social feeds. I met Haik on Monday, just days after The Wall Street Journal reported that Vice and BuzzFeed—both flush with outside capital and video know-how—are expected to miss revenue projections this year. The tech site Mashable reportedly agreed to sell for just one-fifth of its early 2016 valuation. Speculation swirled that other digital media companies may also be shopping for buyers before the bottom drops out. Despite all that movement over the past week—or perhaps because of it—Haik declined to comment on the record. 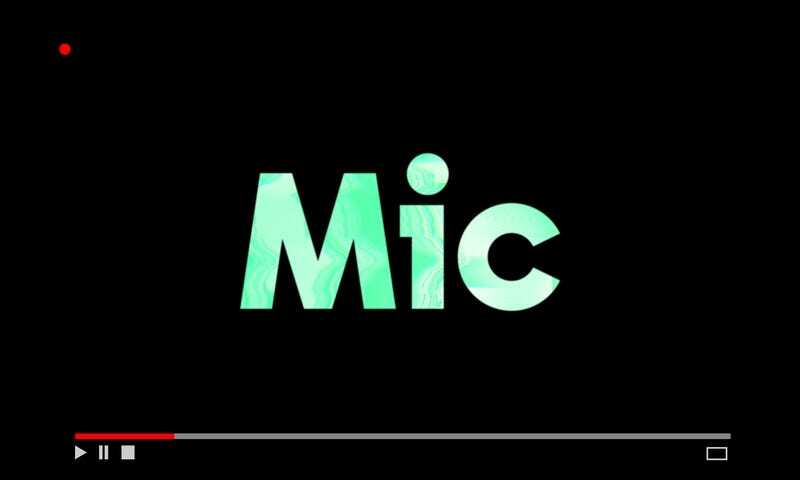 Mic aims to differentiate itself from those competitors with videos that fall into two major buckets: op-eds by outside contributors, like when a psychiatrist analyzed President Trump’s mental state last month; and “correspondent-driven” reports by the company’s journalists. The ideal Mic sensibility is “more optimistic than Vice and more entertaining than Vox,” a spokesperson told Splinter. Recent reports on Confederate statues and the methods used by TV and film directors to light people of color on screen drew 12 million and 5 million views on Facebook, respectively. The eventual goal is to get Mic’s video content onto pay-for-subscription streaming services sold by tech platforms, according to people with knowledge of the strategy. It’s the move-fast-and-break-things ethos that permeates much of the digital economy, and it’s contributed to turnover at Mic throughout 2017. Staffers, including the head of video and director of production, began trickling out in the late spring. The site’s vice president of content, Michael Cahill, was forced out of the company two days after Haik’s column was published in early August, according to a person with knowledge of his departure. And the pivot itself was accompanied by about 25 layoffs, many of them writers hired when the site was chasing big traffic numbers with content pre-packaged for Facebook and Google. The cumulative losses left some current and former staffers wondering whether the newsroom could pull off a serious video play while maintaining a big enough audience to stay relevant. A Mic spokesperson declined to comment on the departures. But she said that Mic has hired 24 new employees since August, including several video producers. “That’s the messy process of getting your strategy set up,” the high-level employee said of new talent and workflows. It sounds like shrewd business calculus, but it’s also difficult to gauge a company’s purported bullishness when management will only discuss its thinking privately. Current and former employees, meanwhile, have been left wondering whether some recent moves are intended to shore up finances or otherwise make the company more appealing to suitors. Take the new traffic “goals,” or the decision to move this year’s holiday party from a swanky Manhattan event space to Mic’s office, with no plus-ones allowed, as outlined in an internal memo obtained by Splinter. Mic brass demurred when I speculated about a potential sale of the company. They also declined to comment on how close Mic is to achieving profitability. By their estimation, the end goal of Mic elbowing its way onto subscription-based streaming services could be three or more years away. That’s an eternity in digital media, more than enough time for the environment to change, competitors to adapt, and Mic and its investors to feel the need to pivot again. Update, 2:40 p.m.: This story has been amended to reflect the full amount of new funding for Mic this year.